Watching the Balloon Inflation for the Macy’s Thanksgiving Day Parade is always exciting. You have no idea how big the balloons are until you see them in person. Unfortunately, it has also become a endurance sport. Just imagine a few thousand New Yorkers slowly being corralled through a winding police barricade over the 5 city blocks. All the whining and complaining … and that’s just the parents pushing their double strollers while the kids walk along side them. It took over an hour just to reach the first balloon! 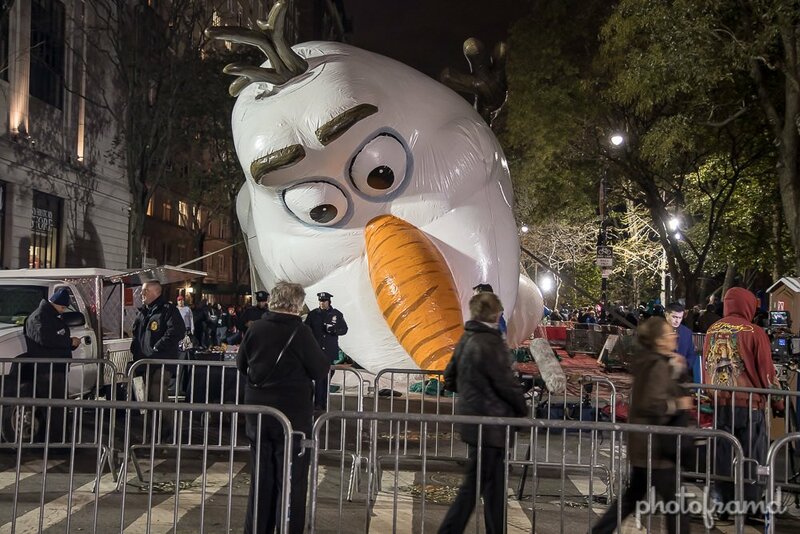 New balloons this year include Olaf from Disney’s Frozen, a new Grinch who Stole Christmas, Super Wings Jet, Paw Patrol’s Chase and a new Aflac Duck Balloonicle. Just take a look at these photos.